Built in 1902 for Lucien and Nellie Snow. Design by John Calvin Stevens. Standing on the corner of Bowdoin and Neal Streets, this is one of Stevens many Colonial Revival homes in the neighborhood. What makes it unique is the buff brick and the 2 story Classical entry porch. 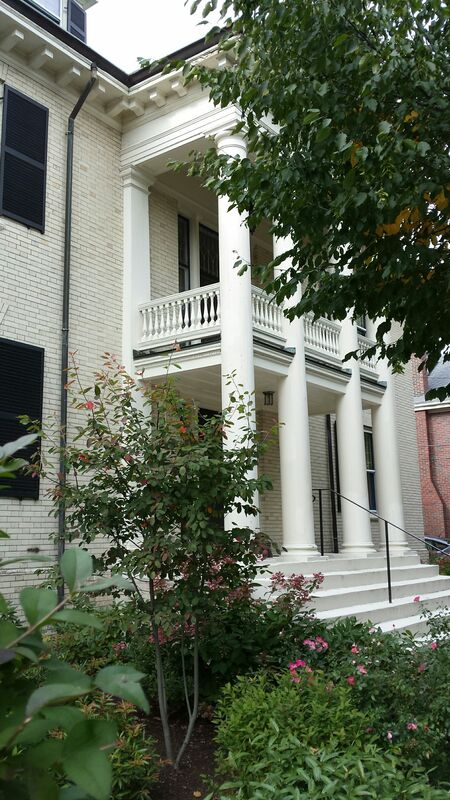 The porch is quite large for the building’s size and is dominated by 4 Doric columns that extend the full 2 stories. They are a bit overscaled but are well detailed. The outer columns are matched by pilasters on the body of the house. 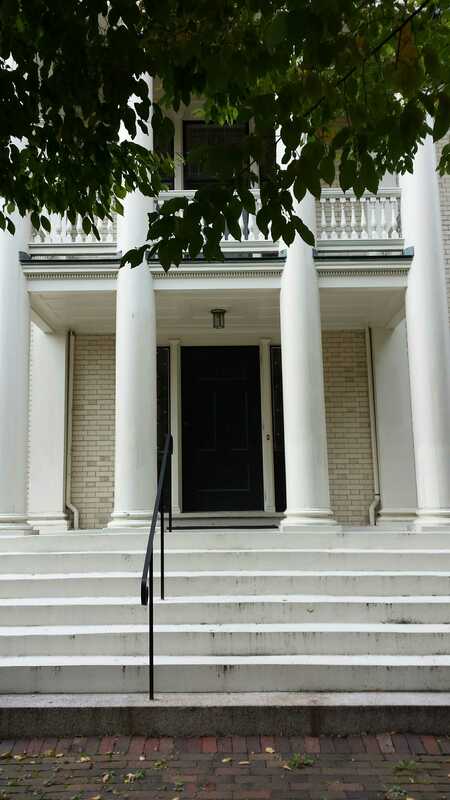 The entry way it’s self is unadorned and subordinate to the columns of the porch. 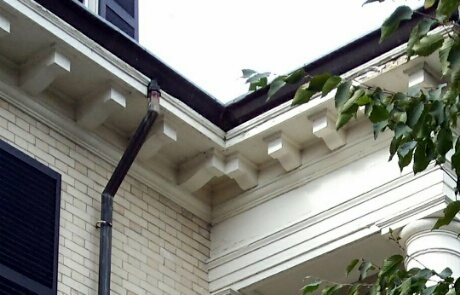 The cornice is set with very heavy dentils that overpower the very slim frieze they are attached to. Then we see the dentils at the intersection of the porch and house having a minor fender bender. Stevens seems to have ‘phoned it in’ on this detail. The rear wall has a wonderful Palladian window under a compressed arch. Above this is a 3 sided bay. To the left is an odd oval window. Perhaps a request of the client. The Bowdoin Street facade shows Stevens’ ability to create unified symmetrical forms that draw the eye in and upwards. Lucien Snow was a partner in Bolster, Snow & Co. This was a dry goods business operating on the corner of Middle and Pearl Streets. Lucien’s widow Nellie was shown as the owner in 1924, Lucien having passed in 1908. Nellie was the daughter of Samuel Spring whose home was the subject of an earlier post. I also note that Nellie is consistently shown as the sole owner of the property. She seems to have taken a mortgage from Bowdoin College when she purchased the property from the Brown family in 1902. That mortgage was discharged in 1942. Nellie died in November of 1941. Another, brief, owner of note was Kenneth Ng. He and his brother Henry ran a group of popular restaurants called Hu Shang. Ken’s financial shenanigans would land him in jail in the late 80’s and into the 90’s. This entry was posted in Architecture, Brick, Colonial Revival, History, Images, John Calvin Stevens, Neal Street, West End Walks and tagged Architecture, Brick, Colonial Revival, History, images, John Calvin Stevens, Maine, Portland, West End on October 29, 2016 by alewifecove.